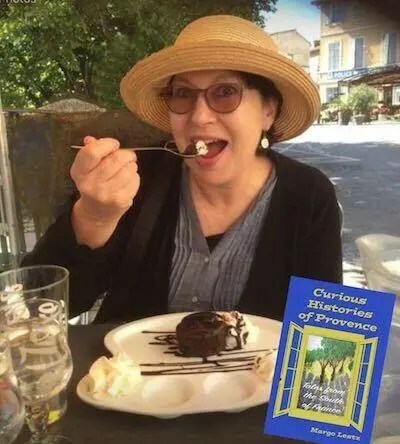 My books are called Curious Histories and my blog is called the Curious Rambler. I like the word curious because of its double meaning: On the one hand, it means eager to know or learn something – which definitely applies to me: I’ve always been a curious person. But on the other hand, it also means unusual or quirky. While I consider myself perfectly normal, I think the second meaning does, indeed, apply to my stories. I like to find quirky tales – the quirkier the better. I set about looking for the stories behind the histories of the area and then writing about them (and laughing at them a bit by drawing little cartoons). 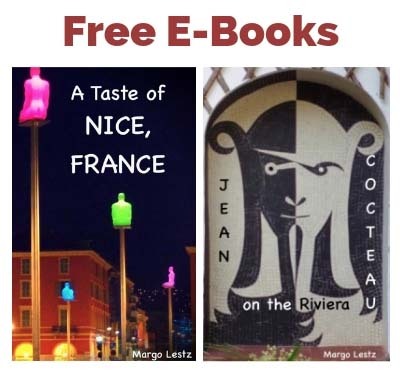 This is how my first two books came about: French Holidays & Traditions and Curious Histories of Nice, France. After writing about Nice, it just seemed natural to venture further afield into Provence. 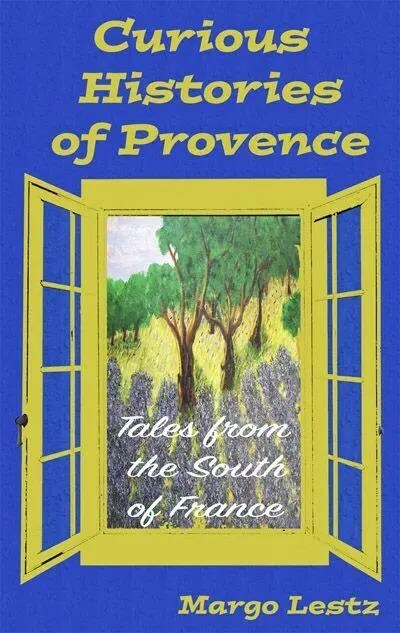 My third book, which has just come out, is Curious Histories of Provence: Tales from the South of France. 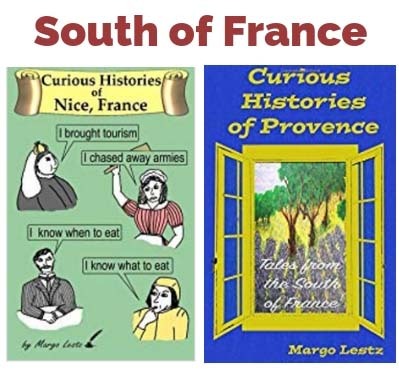 Of course, Provence is a big area so I tried to focus on things that were general to the region, and in this book I also incorporated legends whenever I could find them. ∼ Why do the cicadas in Provence sing so loudly? ∼ How can lavender and calissons protect you from the plague? ∼ How did Martha deal with the local dragon problem? ∼ Where did those white Camargue horses come from? ∼ How did Buffalo Bill have a lasting effect on the region? 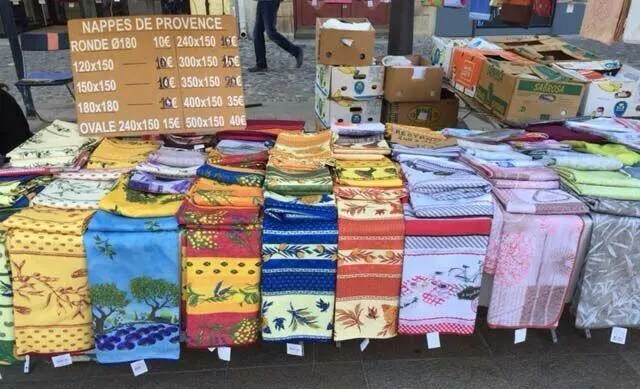 ∼ What’s the story behind those colorful Provençal fabrics? While it’s wonderful to visit a place and admire the architecture, the colorful markets, and festivals, I think you can go just a bit deeper by understanding the history and stories of an area. So, my goal in writing my Curious Histories books is to retell the stories of the area in an informative and entertaining way. And just maybe you can gain an insight into the region and its inhabitants by understanding its stories. I’ve enjoyed finding these tales and writing about them. I hope you will enjoy reading them as well. 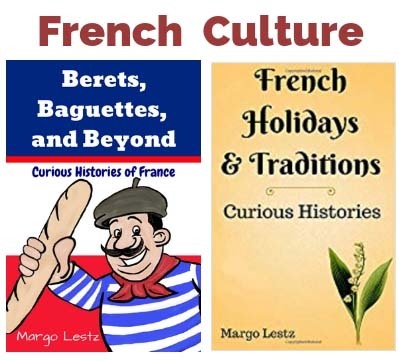 Margo’s books are available on Amazon in paperback and e-book (click here for details).